If you search the Internet, you will find several claims for which president was the first to host a barbecue at the White House. Most claim Lyndon Johnson was the first White House barbecue host. A few others claim Dwight D. Eisenhower hosted the first White House barbecue and a few others claim that it was Thomas Jefferson who first fired up a barbecue pit on the lawn of the "pleasant country residence," as Jefferson called it. However, history doesn’t support any of those claims. In 1791, George Washington selected the site for the White House in Washington, D.C. Within just a few months, the cornerstone was laid in 1792 and Irish-born architect James Hoban was chosen to design the building. President John Adams and his wife, Abigail, moved into the unfinished house eight years later in 1800. The Aquia Creek sandstone used to construct the White House came from Government Island, Virginia. Prime candidates for the first president to host a barbecue at the "president's palace" include the first five presidents: George Washington, 1789-1797, John Adams, 1797-1801, Thomas Jefferson, 1801-1809, James Madison, 1809-1817, and James Monroe, 1817-1825. Four of these five presidents were Virginians. 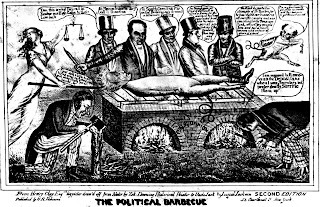 Of course, the political barbecue was born in Virginia and all Virginian politicians of that era hosted barbecues as a part of their political campaigns. However, even though John Adams was not a Virginian, he was no stranger to barbecues. Of course, George Washington was an avid Virginia-style barbecue enthusiast. 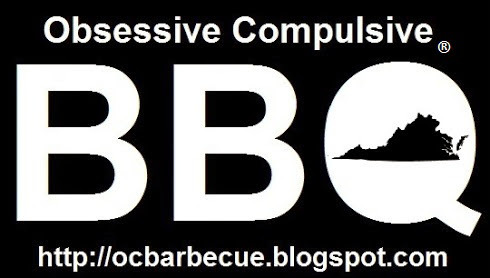 There are numerous records of his barbecue adventures. He often hosted barbecues and attended barbecues held by others. His parents celebrated their marriage with several Virginia barbecues and he even fed his soldiers with Virginia-style barbecue at the end of the Revolutionary War. When the cornerstone of the Capitol building was laid, George Washington presided over the event that was celebrated with a Virginia barbecue. A 500-pound ox was barbecued old Virginia-style and was served to an eager crowd. Though it is possible that a barbecue was held during the laying of the White House cornerstone, there is no record of it. Further, George Washington never lived in the White House, therefore he is not the first president to host a barbecue there. John Adams was the first president to live in the White House. Even though he was from Massachusetts, he was known to have attended barbecues from time to time. He, like his Virginian colleagues, came to understand how effective barbecues could be in reaching rural populations. In 1769, Adams attended a barbecue at Dorchester Heights in Boston hosted by the Sons of Liberty. He wrote in his diary that barbecues, “tinge the Minds of the People, they impregnate them with the sentiments of Liberty. They render the People fond of their Leaders in the Cause, and averse and bitter against all opposers.” Even so, there is no record that John Adams ever hosted a barbecue anywhere including at the White House. Thomas Jefferson was the second president to reside in the White House. Being a Virginian, Jefferson was very familiar with barbecues. He had at least one spring on his property at Monticello that was a popular place to host them. Even so, there is no record of Jefferson ever hosting a barbecue at the White House. The following account from the July 26, 1808, Enquirer is of a barbecue to which Jefferson was invited but didn’t attend choosing instead to stay at the White House where, apparently, no barbecue was being hosted. Recently, archaeologists discovered a barbecue pit on the south lawn of Montpelier that was in use during Madison’s lifetime. Remains included several fragments of animal bones including those from pigs. 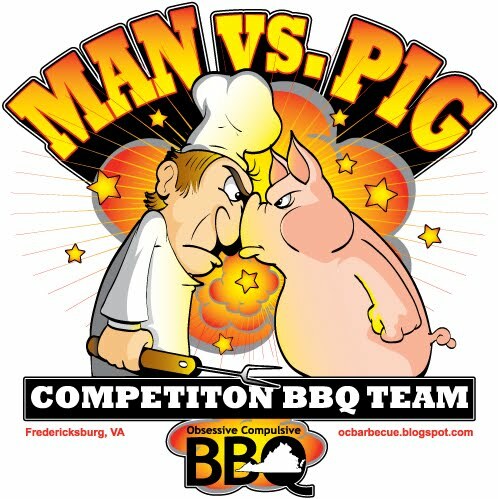 In spite of Madison’s obvious fondness for Virginia barbecues, there is no record of him hosting one at the White House. It appears that the closest to a barbecue held at the White House during Madison’s tenure as president was during the War of 1812 when the British set fire to the President’s House in 1814. James Monroe lived in the White House between the years 1817 and 1825. He too was a Virginian and many records describe old Virginia barbecues that he attended or hosted. However, there are no records that he hosted a barbecue at the White House. Andrew Jackson was the president between March 4, 1829 and March 3, 1837. Therefore, history records that he was the first president to host a barbecue at the White House. President Jackson had a long history with barbecues. The city of Fredericksburg, Virginia, rolled out the red carpet when President Andrew Jackson visited to reside over the laying of the original Mary Washington, Mother of George Washington, monument cornerstone in 1833. Music filled the air as military processions, parades, dignitaries and crowds of admirers filled the streets. The occasion drew more people to Fredericksburg than Lafayette's visit to the town in 1824. The event was celebrated with a barbecue "in the old-fashioned Virginia style . . . prepared under an ample awning, in the beautiful grounds of Hazel Hill." Five hundred attendees partook of the Virginia-style barbecued beef. Andrew Jackson has always been a controversial figure. Some love him. Some hate him. As President Jackson was travelling to Fredericksburg to attend the barbecue, the first recorded instance of physical assault on an American president occurred. Lieutenant R. B. Randolph had been severely reprimanded for misconduct. Encountering the President on a road between Quantico and Fredericksburg, the lieutenant decided to administer some personal retribution because of the court martial. As the discussion between Randolph and the President became heated, he grabbed President Jackson’s nose and violently wrung it before fleeing away. No doubt this assault by a young man against a man in his seventies was painful. As the Bible tells us, “the wringing of the nose bringeth forth blood,” and reports of the assault describe it as “reckless and brutal” even though President Jackson played down the event. Jackson's withdrawal of federal funds from the Second Bank of the United States. 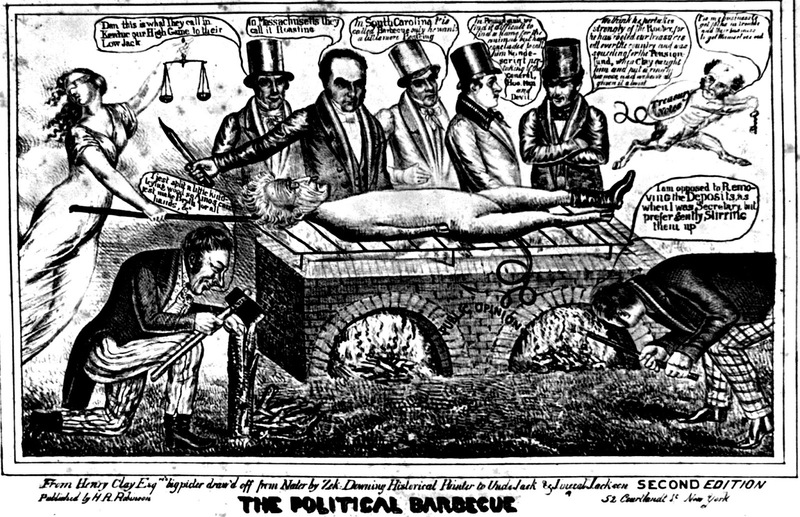 In the cartoon Jackson is depicted as being barbecued like a hog on the fires of public opinion. Martin Van Buren (depicted almost like a rodent) scampers away with a hoard of Treasury Notes. The barbecue cooks are depictions of five vocal critics of Jackson's bank policy—Senators Henry Clay, Daniel Webster, William B. Preston, Bank president Nicholas Biddle, and an unidentified fifth man. of this 1860 pencil drawing of the U.S. Capitol. Images of the “barbecue trees” were captured by an artist in 1860. The pencil drawing shows two oval groves just outside the Capitol building. To read more, see Virginia Barbecue: A History available in bookstores and online now.